I got back to Lusaka yesterday after a packed speaking and meeting tour in the UK, taking in London and Norwich. It’s great to be back in my blogging seat at my blogging desk. I gave three presentations while in the UK (9/2/13 University of East Anglia (UEA); 11/2/13 Health and Private Sector Advisers at DfID; 12/2/13 International Society of Neglected Tropical Diseases (ISNTD)). I was particularly pleased that Dr Phillip Lee MP – a member of the our Virtual Advisory Board – was able to attend the DfID briefing. These were the first set of presentations that I’ve given since we started the trial and it’s great to be talking about what we’ve done and not about what we’d like to do. I also met with our packaging partner – PI Global – and with GSK who are planning a private sector health programme in Zambia. The meeting with PI Global was particularly inspirational and generated some great ideas on the future of the packaging . . . watch this space. I met with Pete Collard at the Design Museum. Pete is curating the Design Museum’s Designs of the Year 2013 exhibition which will run from 20 March to 7 July 2013. We are all very keen that the exhibit communicates all the innovations of Kit Yamoyo – not just that it fits in Coca-Cola crates. We want to represent all of the Kit Yamoyo’s design features some of which are turning out to be far more important than are first concept. And finally: while I was in the UK, the ColaLife documentary – The Cola Road – got its first screening in New York. Claire Ward, who made the film, kindly sent me a copy so I could show it to my Mum. That was wonderful. I’m off, at the crack of dawn tomorrow, to the Land Rover dealers here in Lusaka, with the spare part I bought in the UK – thank you Ashcroft Transmissions (a brilliant company) – I hope that this will get us on the road again. I am so pleased that you have come up with this idea! 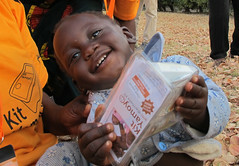 What an innovative way to get help to rural Zambia. I too have fallen in love with the country as I sponsored a child there until World Vision completed it’s 15 year term in Kalabo. I was fortunate to be able to go and meet him and then the following year take the money for him and his older brother to attend high school. I am in the planning stage, the what I want to do stage, of opening a hospitality/trade school in Kalabo. 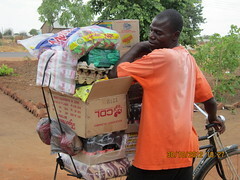 When I am next in Lusaka I will contact you to take some much needed Kit Yamoy’s with me. Keep up the great work! I certainly will be sharing what you have and are doing.